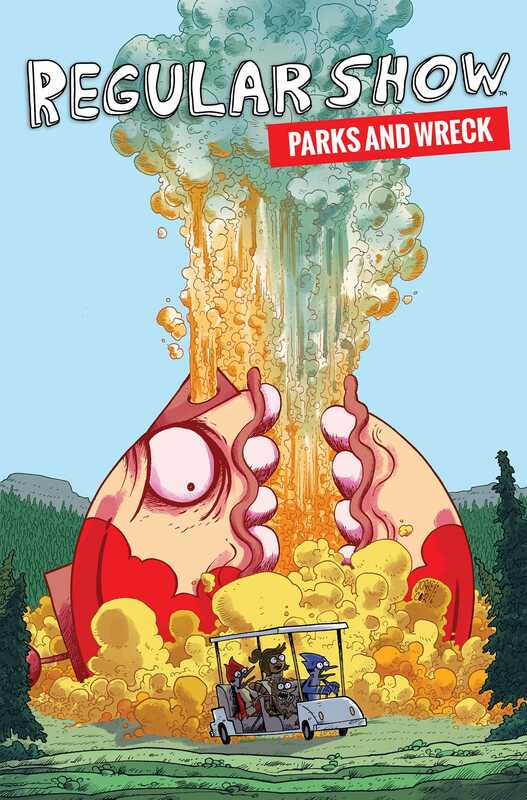 A collection of short stories from based on the hit Cartoon Network series that follows slackers, park employees, and best friends Mordecai and Rigby through their day-to-day lives and wild adventures alike. From druids, to wi-fi demons, to the dreaded Melan Collie, it’s adventure after all-new misadventure for Mordecai and Rigby. Starring fan-favorite characters like Skips and Benson, Eileen and Pops, this rad collection is jam-packed with fun for any Regular Show fan! This collection of Regular Show stories includes shorts never before seen outside of single comic issues! The stories span from 2014-2017, and feature work from Molly Ostertag, Kevin Panetta, Rian Sygh, Mad Rupert, Derek Fridolfs, and many more!